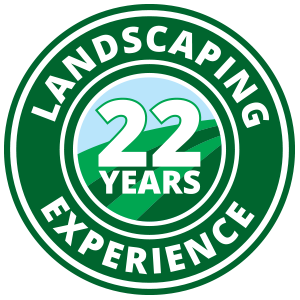 At Hicks Landscape, we strive to offer the highest quality residential and commercial lawn care solutions in all of Wake County, N.C. Whether you want routine turf maintenance or need your entire lot re-seeded, our skilled lawn experts take pride in creating beautiful landscapes, and will treat your property like it’s their own. Just how committed to providing quality services are we? We could tell you ourselves, but we would rather you hear it from real customers we’ve helped in the past, each with their own unique lawn challenges and solutions. If you’re interested in learning more about what Hicks Landscaping can do for your lawn, contact us today. We’ll schedule a free on-site estimate at your convenience. A brief note to say we are overwhelmingly pleased with the level of service, care and quality we received with the aeration/seeding performed in our yard on Thursday. The job was originally scheduled for the beginning of the week. I called Scott Monday to express concern with aerating on Wednesday, as we were expecting a significant amount of rain Tuesday. I was assured that the yard would not be aerated when it was wet. I called Thursday a.m. to reiterate that our yard was overall in good shape, and I did not want it “over-aerated”, especially where it was not needed. (Background: We have had our yard damaged before in this process, and with children out playing, it creates a real mess. I wanted to avoid this happening again) I was assured that it was understood, the yard would not be damaged, and special care would be taken with the yard, especially the wet area on the left side. I trusted and let it go. I arrived home yesterday evening, and could hardly tell it had been aerated. I wondered if it had been – and I had to look closely to see that it had, and seeded, and fertilized. I was utterly amazed!! It was the perfect job. Scott took tremendous care to do this job exactly as I needed it, and better than I could have done myself. He knows I am particular about things, and called that evening to follow up with me, and make sure the work was performed to my satisfaction. This speaks volumes not only to his character, but for his care, attention and dedication to his work. He, and this crew should be commended – and so should you, for recognizing their talent and values. Your team, once again has gone above and beyond. Thank you. From start to finish, everyone I spoke to and worked with from Hicks Landscaping did a fantastic job. I felt at ease throughout the entire process. My yard went through a complete transformation, 1 of their crews worked the entire day, from sun up to sun down and they all worked very hard. The team kept me up to date throughout the entire process and whenever I had questions for them, they were always very responsive and had the answer. The owners followed up with me afterwards to see how everything went, which shows me how much they care. I would definitely recommend Hicks Landscaping to anyone in the Raleigh area. Thank you Hicks!